After the successful launch of GrabCar, the number one car-booking app launched another service that will add luxury, comfort, and style to your commuting experience, GrabCar+. GrabCar+ offers a chauffer-style transportation service with car options such as Camry, Fortuner, Montero, Tucson, FJ Cruiser, Mini Cooper, and the Hummer. Rates are the same for all vehicle line-up of GrabCar+. There will be a flag down rate of P90 and a charge of P20/km. With the current traffic situation, it is better than getting charged by the minute. So if I am going to Makati from Pasig, which is around 8kms, my rate will be at P180 + 90. Which I normally get P180 – 200 in a taxi. GrabCar+ service doesn’t just drop you off from point A – B, it gives comfort and peace of mind. You’ll reach your destination fast and safe. 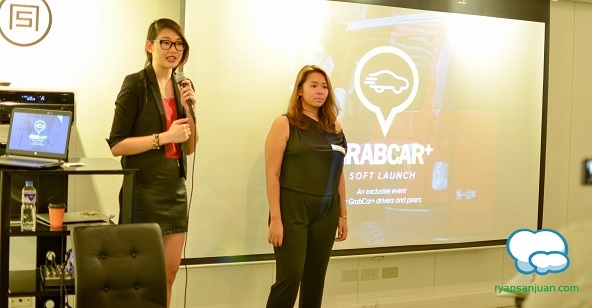 GrabCar also announced that it will be accepting privately owned cars to be part of its fleet for its GrabPeers program. The program aims to help owners to maximize the use of your vehicles. Imagine earning an extra just by driving yourself at the office or driving home. Their car has to be in good conditioned, preferably below five years old, and owner has to pass accreditation from LTFRB, and GrabCar+. You heard that right, GrabCar and GrabCar+ is closely working with LTFRB. 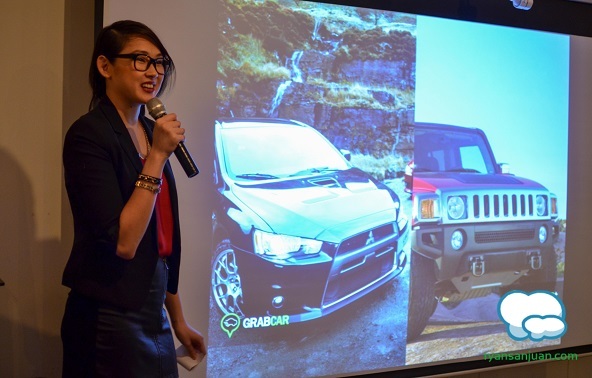 “The GrabCar business model has been successful over the past year. We’ve been getting good reviews as well as requests to include more premium cars. This is where we got the idea for GrabCar+. 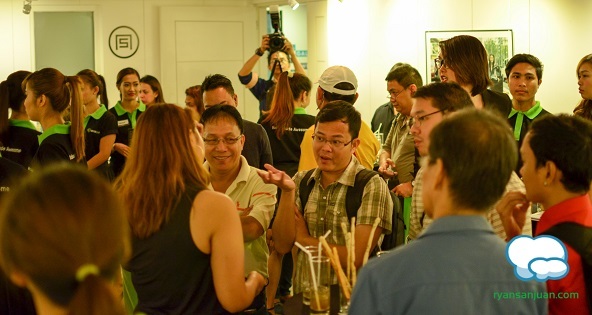 We’re also opening the business to those who are interested to partner with us through the LTFRB-acknowledged GrabPeer system,” says Natasha Bautista, Grab’s Acting General Manager. During the event, interested applicants got their questions answered during the Q&A. In exchange of using the software for booking, GrabCar+ gets 20% and the GrabPeers partner gets to keep the 80%. Aside from the 80% you also get incentives and/or bonuses if you meet a certain goal. During rush hours, rates can go as high as double. Do you need to be always present or online when you join? No you don’t have to, but the amount of money you earn and bonuses you get will depend on it. If you want to earn just enough to pay for you gas and parking on your way to work and back, that’s fine. Here’s a good example, my driver explained that the rent-a-car service he is employed with is happy that they are able to maximize the use of their vehicles. He is also happy because aside from his fixed monthly salary, he also earns extra from GrabCar+ thru incentives and tips from passengers. The company earns, the driver earns extra, and commuters get an awesome ride. What’s more exciting is that GrabCar will also have their own promo codes soon, and some may even waive the whole fee. Promo codes or not, I am booking again, I just wish that I get to ride the Hummer, FJ Cruiser, or the Mini Cooper next. Sign Up for the GrabPeer partnership HERE.